"To each his convictions. Mine are to respect... my country's constitution," he said during an official visit to Paris. 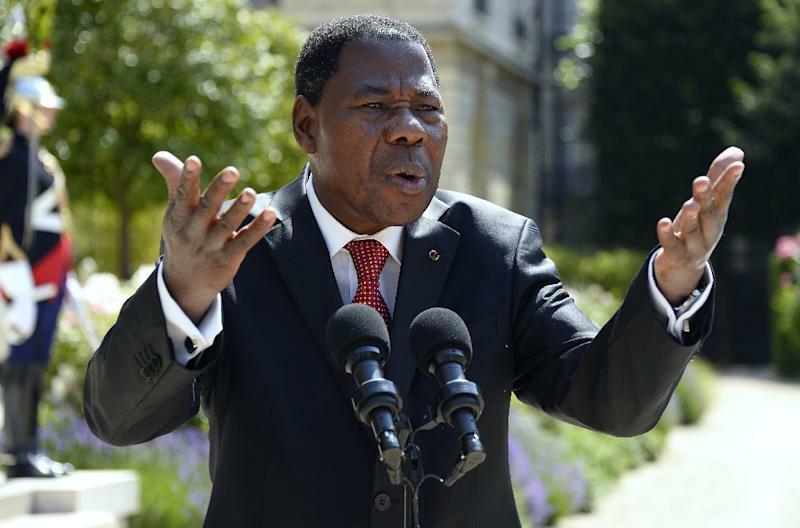 Boni Yayi's decision not to try extend his rule sets him apart from many African leaders, such as Republic of Congo's President Denis Sassou Nguesso, Zimbabwe's Robert Mugabe and Uganda's Yoweri Museveni, all of whom have been in power for decades. Sassou Nguesso, who has spent three decades in the top job since 1979, recently pushed through a new constitution allowing him seek a controversial third consecutive term in elections next year. In Burundi, President Pierre Nkurunziza's successful quest for a third term in elections held in July -- despite a dispute over whether he was eligible to run again -- plunged the country into violence unseen since the country's 1993-2006 civil war. Boni Yayi, who has been hailed by his French counterpart Francois Hollande as a paragon of democracy in Africa, refused to criticise his contemporaries, saying: "Each country has its specificities." "There are heads of state who work, who have launched major projects, who are loved by the people and who have used democratic methods to (revise) their constitution." "I don't have a lesson to impart, I don't want to criticise anyone," added the 63-year-old, who was first elected in 2006 and voted in again five years later. Benin has gone through three smooth democratic transition since 1990 when the nation's communist dictatorship fell. Presidential elections are due again in February, and there had been some concern that Boni Yayi would try and amend the constitution to stand again on behalf of his FCBE party. As yet the party has not chosen a candidate. Boni Yayi said discussions were still ongoing and that the party's nominee would be announced "soon".